MLK parade on MLK, originally uploaded by anthonyturducken. Every year right about this time I remind people: Please contribute photos taken on MLK Boulevards, Drives, Streets, Avenues, etc., anywhere, to the MLK BLVD Flickr pool, an open-source photojournalism project. Highlights appear on the blog MLK BLVD. 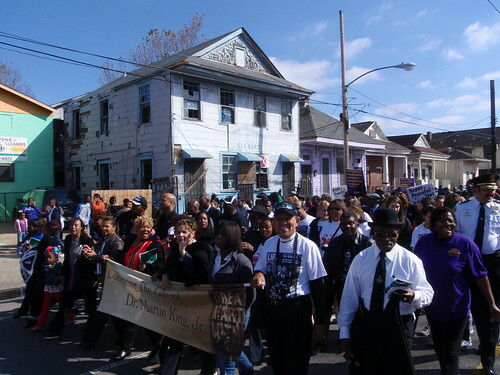 The image above, from an MLK parade on MLK in New Orleans.